In our December 20 post, we shared data indicating employee satisfaction surveys provide improved levels of productivity, job satisfaction and loyalty, and that they tend to be morale-boosting and increase employee engagement – a potentially important factor as averages from recent Best Employer studies have shown that companies with high-levels of employee engagement earn returns that are more than double those of the overall market. Other data suggests that providing employees with ongoing opportunities for personal and professional development increases their engagement level. However, Gallup polls over the past several years indicate that over 70% of the US workforce is disengaged! This is a disturbing fact, as the costs of disengagement can be staggering – over $300 billion per year according to some studies. Based on the data, it would seem that education/training, open communication and regular employee surveys might all serve as effective engagement tools. Are there other tools? How does your organization go about engaging employees? Is there a set plan? Do you follow guidelines? Have you found ways to measure results? Over the years, we have found that a staggering amount of waste lies in the hand-off areas the areas where work is passed from one department to another, from one division to another or from supplier to user. Even more important, this waste tends to be transparent, because few people look beyond their own functional area for improvement opportunities. 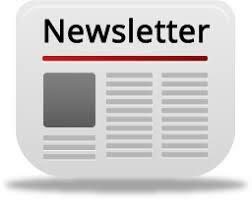 More on passing the waste can be found in our e-newsletter. In the meantime, have you been able to find any of the “invisible” waste that exists in the hand-off areas within your organization? Several of our more recent posts have referred to quantifying waste and prioritizing the things we work on. While these steps are clearly pivotal with respect to maximizing gains, so too is the initial step of identifying the waste. Where do you begin the search for waste in your organization? Do investigations begin as a result of problems or customer complaints? Do revenue or profitability shortfalls serve as catalysts for a search for waste? How about the employee suggestion box? And once a search has begun, are there any particular places within your organization’s processes where you first look for waste? Thinking back on the most successful improvement initiatives – the ones that resulted in the largest gains – where did you or your team first look to find the opportunity? Education & Buy-in… Are They Connected? In a recent CI forum, lack of buy-in from both managers and participants was identified as a frequent reason for the derailment of improvement efforts. Management support is required to free up the resources to work on improvement, without which meetings tend to get pushed out and progress slows. The slower the effort moves, the more likely it becomes that priorities will change, or problems arise that decrease available resources further. Similarly, when projects fail to produce good results, enthusiasm and buy-in among participants deteriorates rapidly. Unless serious intervention counters this adverse reinforcing loop, subsequent efforts become less and less likely to succeed. Can greater levels of buy-in be gained via education — possibly education related to the long-term value of CI? We couldn’t agree more! In order to take our organizations to the next level; to develop new insights, solutions and opportunities for a competitive advantage, we must actively mine for knowledge that can trigger solutions. All sorts of learning can become a catalyst for change. A key step to continuous improvement is to make gathering and sharing knowledge more systematic; knowledge that can be found in the five key areas listed above. Organizations that have succeeded in this area have systematically established learning goals, created repositories for information, and continually refined systems for seeking and sharing knowledge. In our November 1st posting we discussed the key element and value of customer surveys. Today we would like to hear your thoughts on employee surveys. Employee opinion surveys provide the data and the scientific method that allow you to measure change, both positive and negative. Management is better able to judge the effect of intervention and change by interviewing the employees both before and after the changes have taken place. Data from the National Business Research Institute indicates employee satisfaction surveys provide improved levels of productivity, job satisfaction and loyalty by identifying the root causes of employee satisfaction, thus facilitating action targeted directly at those root causes. According to NBRI data, opinion surveys have also been shown to be morale-boosting and increase employee engagement – a potentially important factor as averages from recent Best Employer studies have shown that companies with high-levels of employee engagement earn returns that are more than double those of the overall market, and that organizations globally lose over $300 billion per year due to employee disengagement. So, with so much clearly at stake, we’d love to hear about how you have been able to effectively use data gathered from employee opinion or satisfaction surveys. First, it helps you distinguish between the “big‐hitters” and the “nice‐to‐have” improvements, so you focus on the most important opportunities first. Second, it makes the organization aware of the cost of a delay in tackling a “big‐hitter.” If a problem is wasting $5 million per year, every week of delay is wasting nearly $100,000, so the organization wants to make sure nothing slows this improvement effort. And third, quantifying the waste enables you to have more meaningful discussions with other parts of the organization whose support you need to change the processes that cause the waste. Does your organization put a strong focus on quantifying waste? If so, which methods have worked best? For a few additional thoughts, you might also review a short white paper on our Website. What we choose to work on and how we choose to accomplish that work are the most important business decisions we all make each day. That means we need a methodology to gather, synthesize and analyze data, a rigorous method of priority setting to decide what to work on (or together more data on) and then effective and efficient ways to accomplish the work/task. A number of approaches might come to mind when thinking about finding the areas of improvement to work on and how to know if we have identified the right things to work on – such as voice of the employee, SWOT Analysis (Strengths/Weaknesses/Opportunities/Threats), or trends in customer concerns. What method of prioritizing has worked best in your organization, and how have you gone about measuring success? As noted in one of our recent newsletters, when it comes to education America’s business culture tends to focus on individual learning aimed at the job at hand. As a consequence, much of our learning goes to waste because the knowledge stays in one place. In other words, an individual may accumulate a great deal of knowledge and skill in his or her work, but little is shared; one may master one’s own job, but know little about the work in supplier or customer organizations — knowledge that could help streamline the whole process. For example, a sales rep may gather information about the customer that could be useful to engineering or manufacturing, but chances are high that that knowledge will never be transferred. Or, in other cases, when someone leaves an organization, much of their knowledge goes with them. Our November 8th blog post presented the concept that “education frequently serves as a powerful step toward embracing the concept of change.” Clearly there are some organizations that have developed a higher-level or macro-level clulture with respect to staff development or education… if this rings true with you, we hope you’ll share some examples! In most organizations, the biggest areas of waste are held in place by functional silos. Misunderstandings about requirements, misalignment of priorities, and mistaken assumptions about constraints, costs, and capabilities all add to the waste embedded in nearly every organization. Some examples we have seen include purchasing organizations placing orders without effective understanding of the quality and delivery requirements in manufacturing, marketing promotional plans that damage production flows and add more cost than revenue, and product engineering designing products with features the market doesn’t value. In fact everywhere we go, we see some version of cross-functional dysfunction that results in huge amounts added cost and lost opportunity. Addressing these pockets of waste requires working across the functional silos to collaborate on the best solution for the customers and the organization as a whole. Are there other barriers you have seen? What are the best practices you have seen to overcome the barriers and achieve the cross-functional breakthrough opportunities?